Wedding Map and Floral Illustration Design 2017. 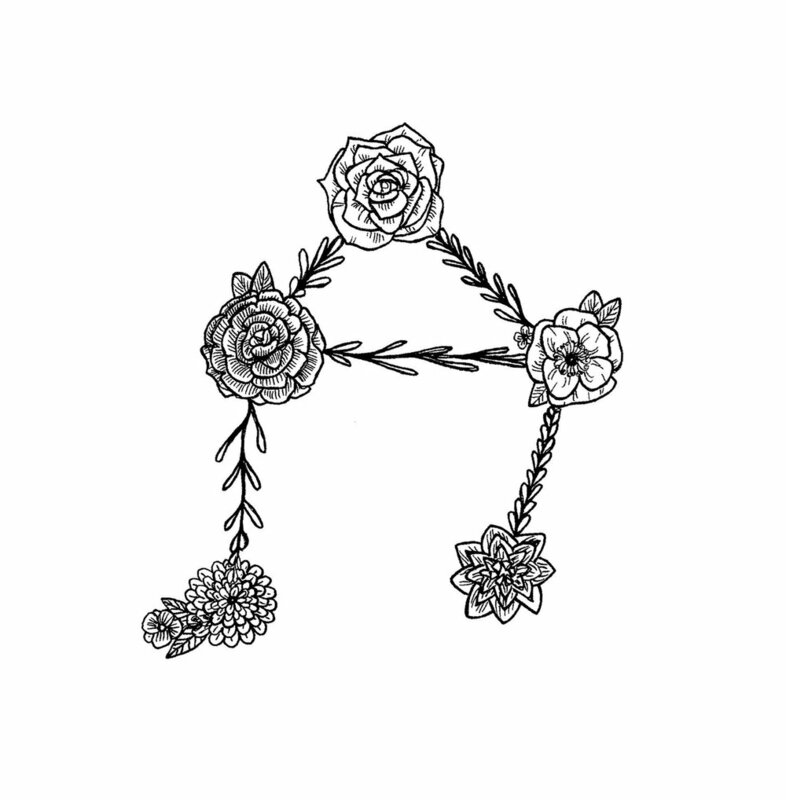 Floral Details and R.S.V.P for Wedding set 2017. 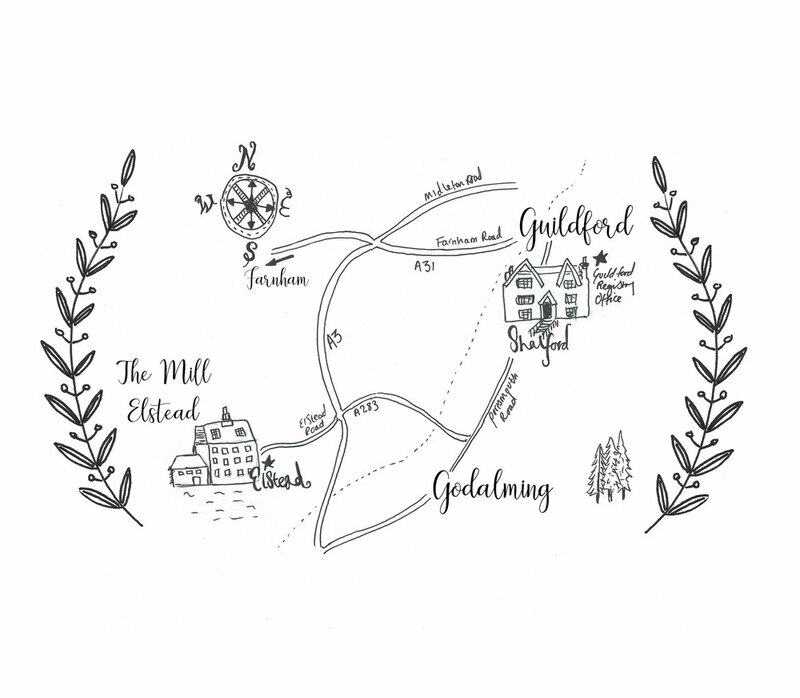 The Mill Elstead Wedding Map, Guildford Registry Office 2014. 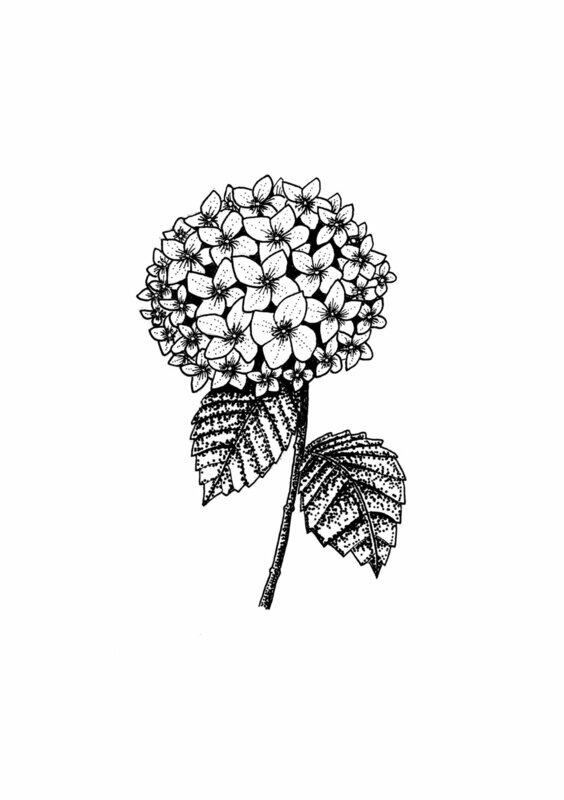 Wedding Date and Initials illustrated 2016. Cutie catcher with Initials , Paper goods for Wedding day 2017. Wedding Breakfast Illustration and typography 2016. 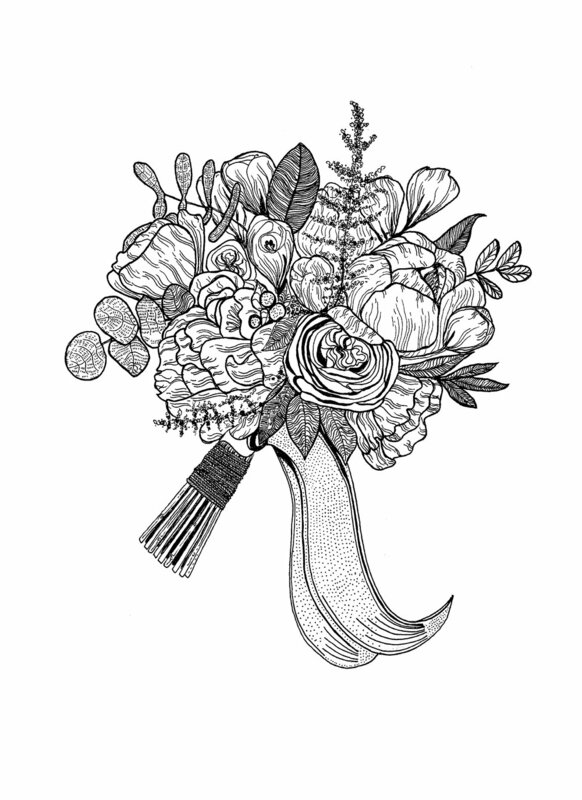 Wedding Date and Initials Illustrated with Flora details 2016.